Four Seasons Health Care staff support residents in over 300 care homes in the UK. 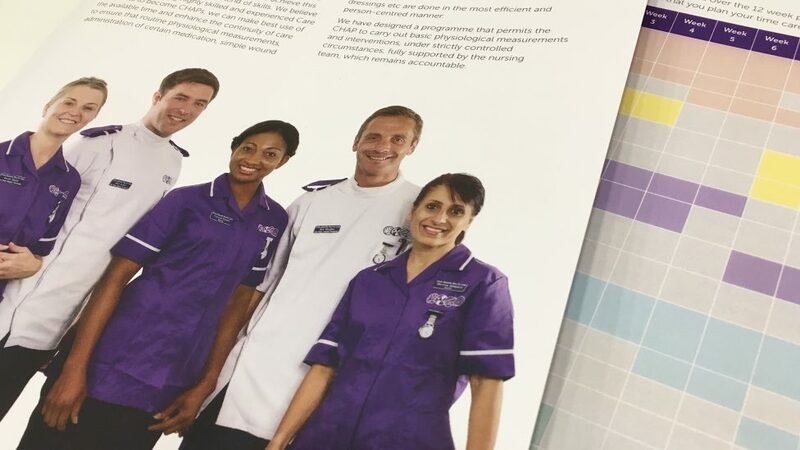 Caring for and developing their staff is as important for our client as caring for their residents, so Four Seasons came to us to help them produce a training manual that would support their new CHAP (Care Home Assistant Practitioner) initiative. 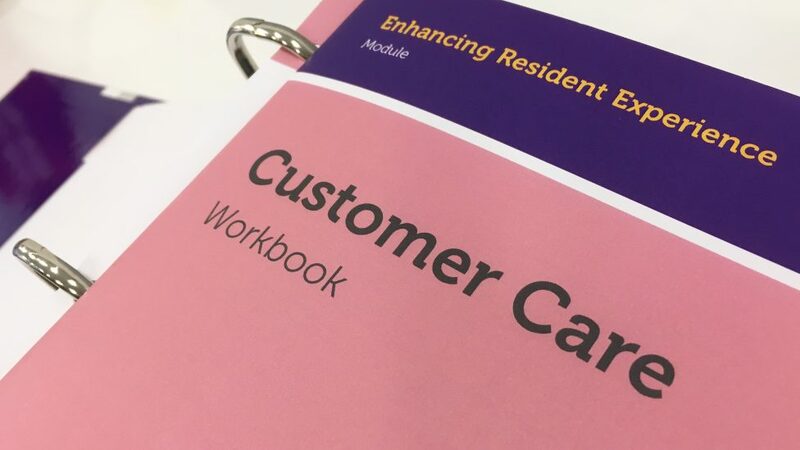 The programme – developed in conjunction with Care England – reflects the changing needs of residents at Four Seasons Health Care homes and provides their most promising carers with the opportunity to take on more responsibility, develop their skills and careers. To become a CHAP, carers must work through a comprehensive training programme. Our client asked us to produce a training manual that would bring the vast amount of detailed information to life and turned the learning process into an engaging experience. 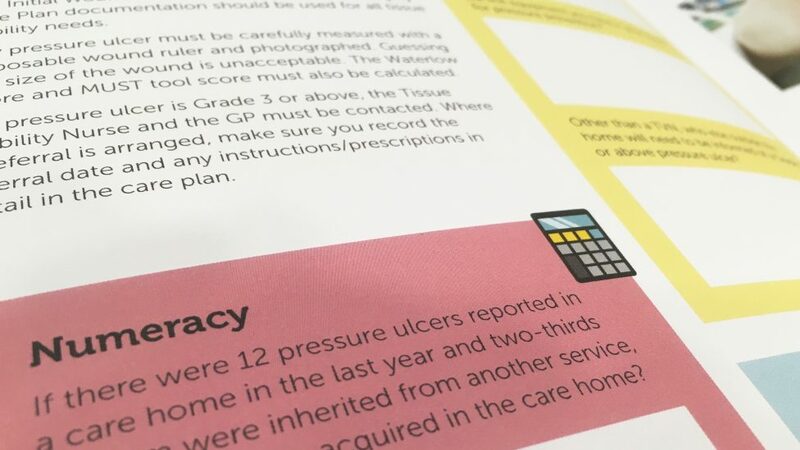 With all the information in one place, it’s easy for the carer to reference it easily. 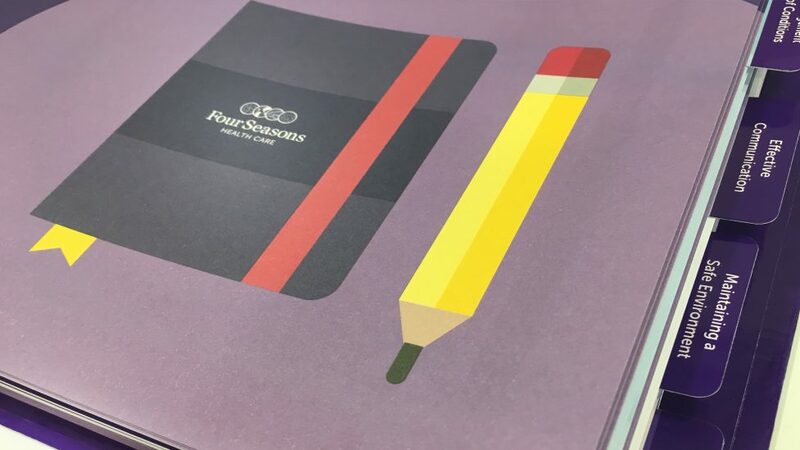 The manual includes our client’s brand colours, with a unique look and feel tailored to the manual. 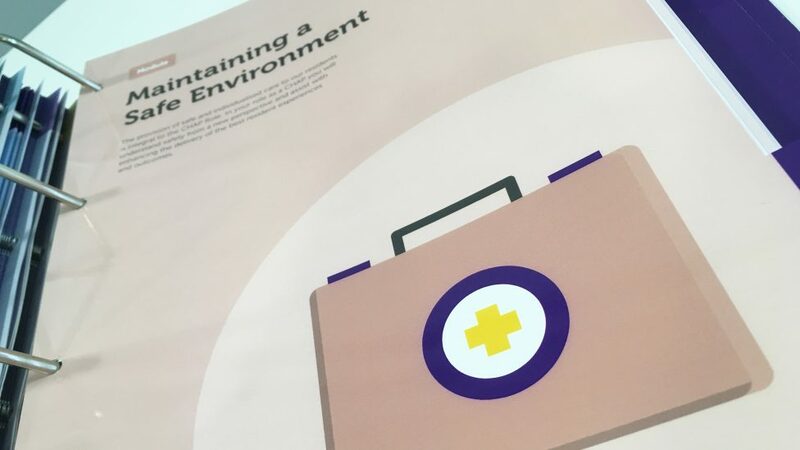 We created infographic-style illustrations and included medical drawings, and we laid out the content in the most engaging way. All elements combined result in a less daunting learning process. 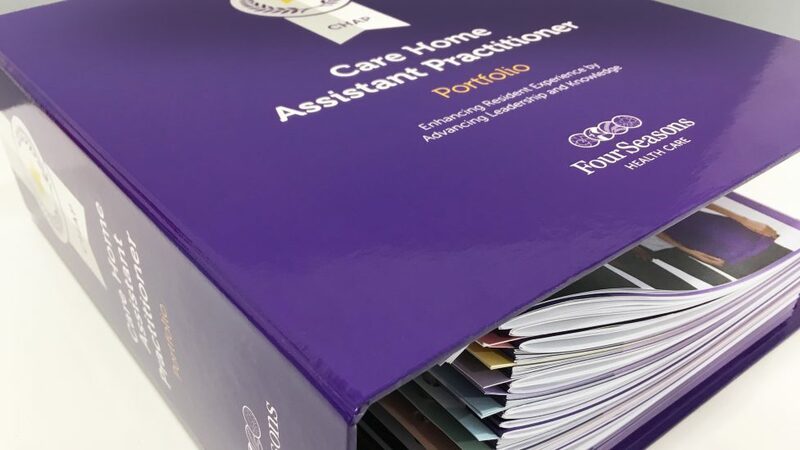 Colour coding adds structure, helping the different sections stand out, while professional photography showing carers and mentors working together inspires the learner. We chose the paper stock carefully to allow carers to make notes as they progressed through the different learning stages. 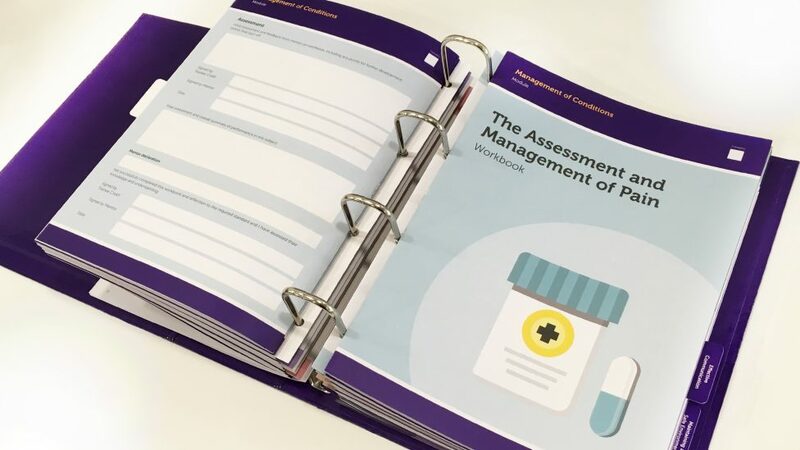 We also considered the weight of the paper to ensure the training pack was as easy to handle as possible, contributing to an overall positive learning experience. 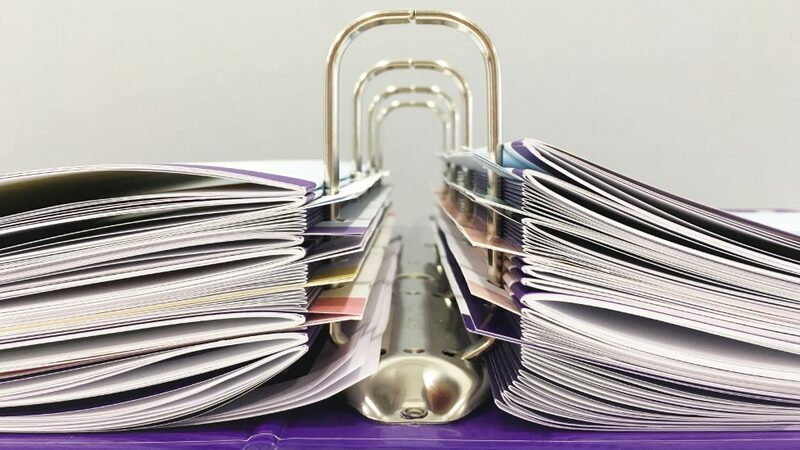 Despite being constrained to an off-the-shelf ring binder that helped minimise costs, we tailored it by stitching up all the workbooks with loop wires to keep them neat and allow the carer to remove them easily to write in. 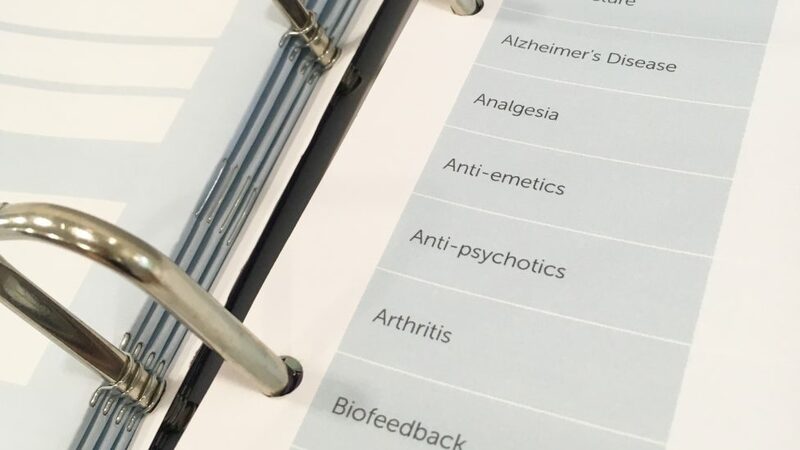 The gloss-laminated tab dividers guarantee durability and provide a contrast to the uncoated workbooks and information sheets, helping carers organise their learning. 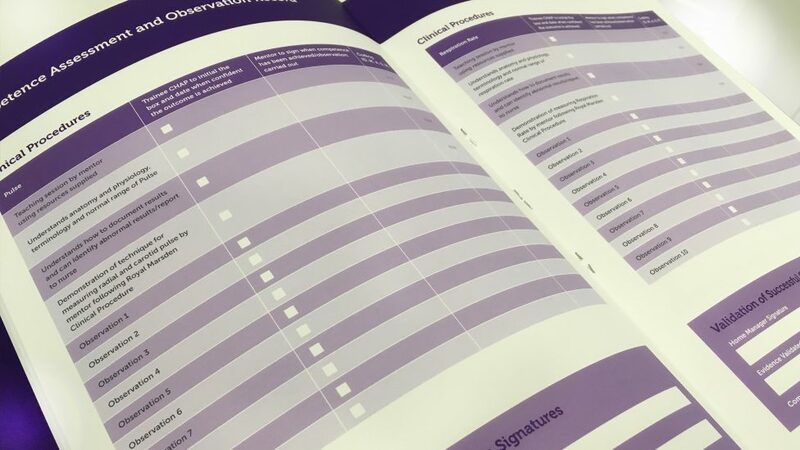 We also managed the fulfilment of the training pack, delivering to 350 care homes as well as 50 copies to the CHAPs Conference, in record time.